We highly recommend you purchase tickets in advance. Ray’s last concert at Tulsa Little Theatre sold out. 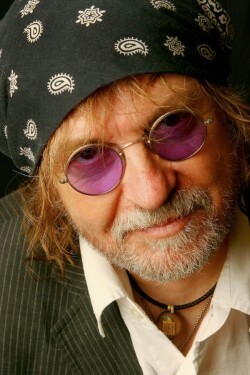 Ray Wylie Hubbard may be a Texas music icon, but he started out in Red River, NM in the mid-1960s playing folk music and writing left-field songs like “Up Against the Wall, Redneck Mother,” made famous by Jerry Jeff Walker in 1973. Hubbard likes to rhyme words like “mescaline” with “gasoline,” so it’s perhaps not astonishing that his raw mix of outlaw country, literary folk and gritty blues would have a hard time finding an audience in the short run. Equally unsurprising is his success over time. His ability to segue seamlessly from primal exclamations of carnal lust into songs about salvation without pause or irony, to paint vivid portraits of characters both real and unreal, and to consistently evoke a sense of place that is larger than life but in no way made up has earned him a deep and widely held respect as as an elder statesman of Texas Music. Tickets: $25-$50 reserved. or 866-966-1777.